You will see from the map below that the Leeds-Settle-Carlisle Railway provides the opportunity for rail connections throughout the country. From Carlisle, you can travel to Glasgow, Edinburgh and throughout Scotland or to Newcastle. There are also connections south with direct services to Birmingham and London. From Leeds, there are connections to the south, south west, Midlands, as well as to Manchester and Liverpool. If you are looking to travel from West Yorkshire (Leeds) to/from Scotland and you choose to include travel via the Leeds-Settle-Carlisle line, opt for a ticket using Route Appleby. You can save £’s as well as seeing the beautiful countryside of Settle-Carlisle country! 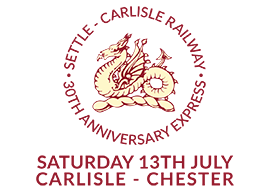 A Settle-Carlisle Day Ranger ticket is available to purchase from booking offices and on the train. Valid from Carlisle to/from Leeds/Bradford Forster Square, it provides a hop on-off ticket for travel for a day. Details here.